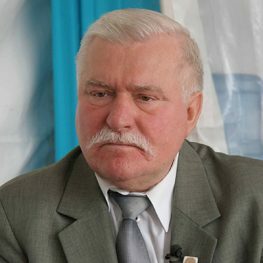 Lech Walesa is a politician, who in difficult communistic times fought for freedom, justice, and democracy. Walesa worthily represented Poland as the first president chosen in democratic elections. He was granted the award "Knight of Freedom" for his contribution to the democratic transition of Poland. Lech graduated from the Vocational School in Lipno and then worked as an electrician. In 1970 he joined the Strike Committee of the Gdansk Shipyard. Lech Walesa was also active in the Free Trade Unions of the Coast and one of the founders of “Solidarity”. In 1981, he was officially appointed its chairman. In 1983 he was awarded the Nobel Peace Prize. On 22nd December in 1990, he was elected the first president of the Republic of Poland since the fall of communism.